Deck is legal for the chosen format. This Magic the Gathering deck building tool is built and maintained by Omnibus Games LLC, and hosted on GitHub. Submit bug reports and feature requests on the issues page, here. 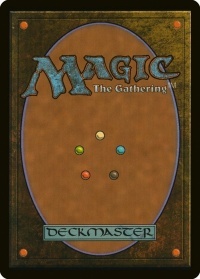 Magic the Gathering and all associated information and materials are the property of Wizards of the Coast, and this tool is not associated with Wizards of the Coast in any way. Added support for login with Google and cloud storage of decks by logged in users. Added support for the Brawl format (pending MTG JSON data up stream bug fixes). Added support and deck validation for Partner and Partners With commanders. Addressed serious layout issues with the deck lists in Internet Explorer and Firefox. Fixed additional filtering, deck and card validation, and layout related bugs. Significantly improved card rating data by averaging across all printings of a particular card. Fixed a number of edge cases and bugs with user interactions and filtering. Added card rarity to the data set and denoted it on the card list for building pauper. Major code cleanup and bug fixing pass, resolving numerous issues and improving performance. Added support for importing and exporting deck lists in the standard text format. Added support for cards with unusual deck building rules such as Planeswalker commanders. First pass implementation of all core deck building and card lookup features, plus local saving. First pass interface design and implementation for current and upcoming feature set.